Hi, it's been such a busy week! Better make the most of what's left of the weekend. 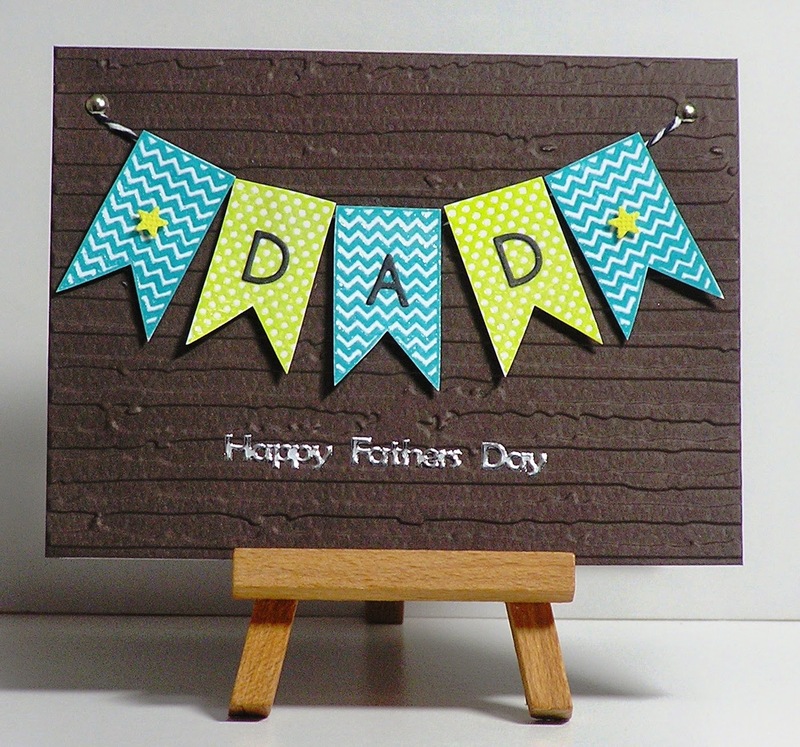 I was inspired to make this card by the challenge at Scrapbook Boutique where there is this gorgeous pic. It's Father's Day next Sunday here in Australia, Dad's turn to be spoilt! Distressed stripes embossing folder; Impression Obsession alphabet die; Maya Road banner stamp, versacolor inks and clear embossing powder; Fiskars star punch; twine; brads and sentiment sticker. LOVE how you have added the sentiment to the banner flags Cathy! So glad you could share with us at Scrapbook Boutique! Cathy your chevron patterned banners are awesome! I am a big banner fan and these look just wonderful. Love the dimension too.